Whether you've decided you no longer need to access a particular workspace, or you're an admin who wants to remove a member from your workspace, you get to control the transition process. You can ensure that murals you have created get passed down to the rightful heir, and you can elect to delete any private content no one else needs/wants to see. 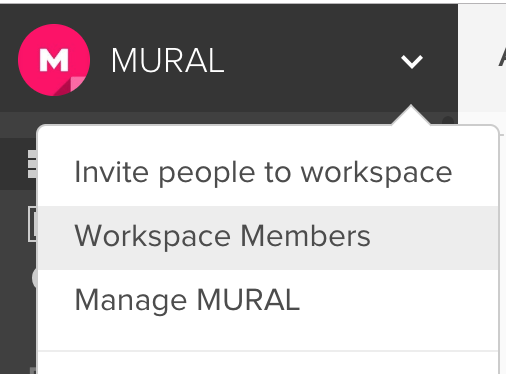 Go to the drop-down menu next to the workspace name, and select 'My Workspaces'. 2. Find the workspace you want to leave, and click 'Leave' next to it. 3. 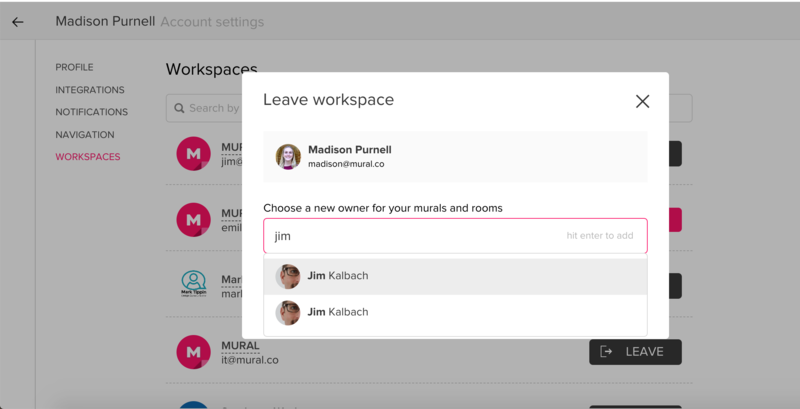 You'll be prompted to transfer your content to another member of the workspace. 3. Find the member you want to remove, and click the gear icon next to their name. Select Remove Member. 4. 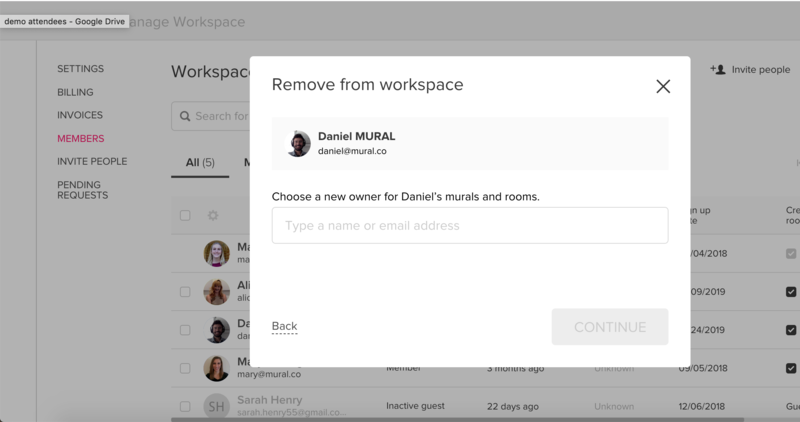 You'll be prompted to transfer their content to another workspace member (you will appear by default, but can always select someone else). Now you can facilitate faster content transfers, and ensure everything ends up in the right place!